Stephen Fry: Britain's beloved writer, actor, presenter, comedian, and all round brain box released a new memoir in October 2014. Fry has already released two previous biographical efforts: Moab is my Washpot and The Fry Chronicles respectively. Fans of Fry will not be disappointed with great showbiz anecdotes about Prince Charles and Princess Diana coming around for dinner at New Years Eve, his close friendship with the late legendary actor Sir John Mills and of his cocaine habit between 1986 and 2001 of which he has recently come under extreme controversy. This third volume of Fry's memoirs may pale in comparison with his previous efforts which were packed to the brim with clarity about events from his childhood, youth and the beginnings of his career. The subject material in More Fool Me becomes more sensitive and delicately dealt with as Fry recounts events with celebrities who he may not want to name and shame for whatever reason. There's also a lot of bouncing around the years from childhood, to the mid 90's to present day - so there is not so much of a coherent thread which can be distracting. As ever Fry's spectacular vocabulary and command of the English language is in perfect form. 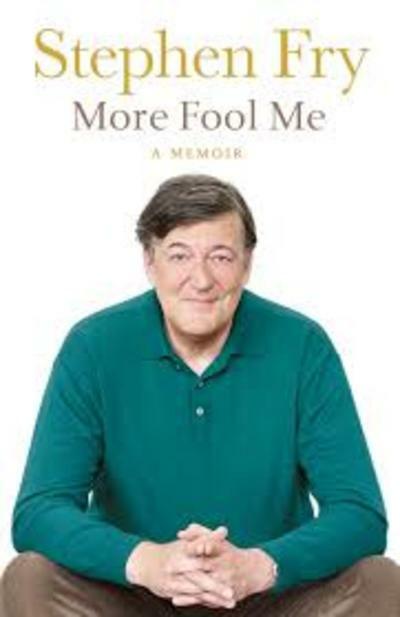 While it may not hit the heights of his previous two efforts, I would recommend this memoir for any admirers of Stephen Fry as it does not disappoint.